An SUV of this size, and at that price is not a common sight. 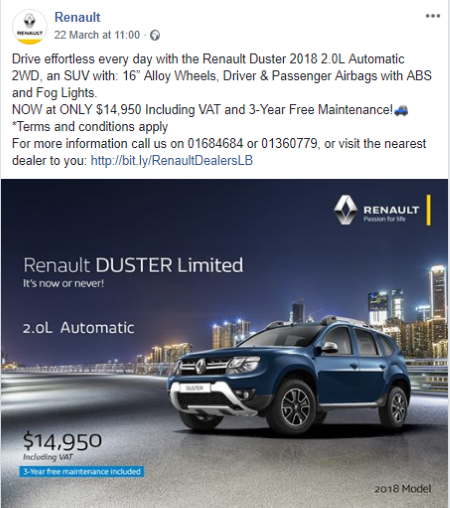 Value above all else is the Duster motto. 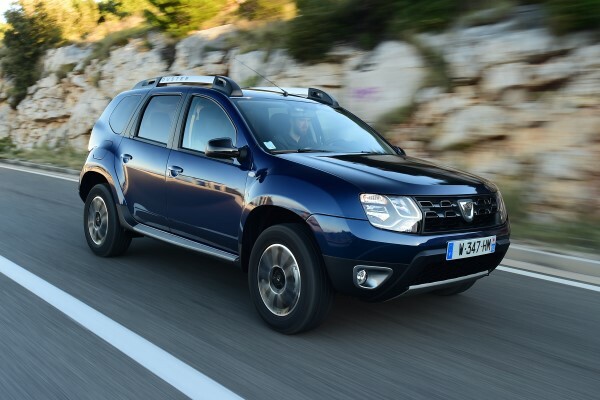 *Pros & Cons are based on our first look at the Duster and info available online. 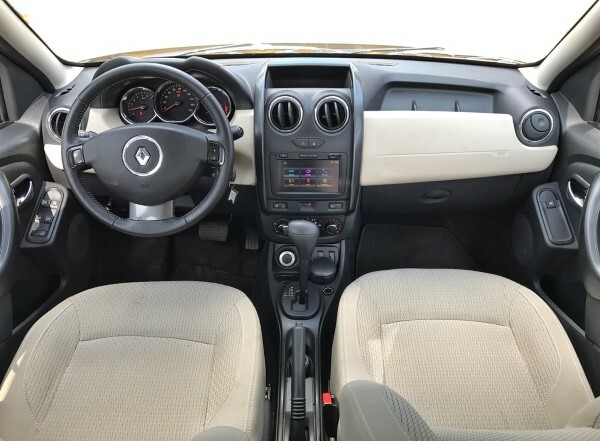 We have yet to test-drive it to give you a more detailed review. 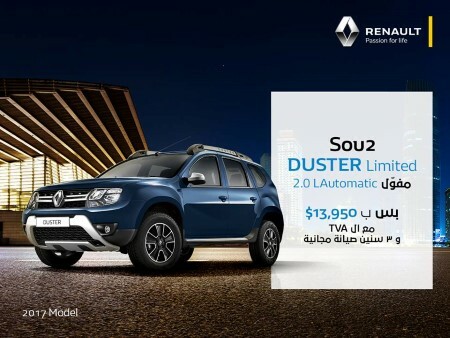 OFFER DETAILS: It is the cheapest SUV you can get in the Lebanese market, and at this size it's just hard not to be interested. 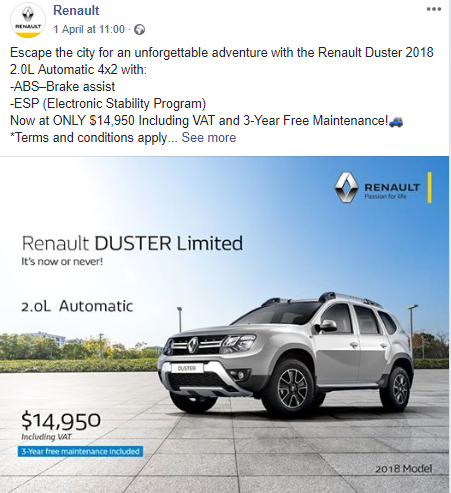 On top of that, 3 Years or 45,000 Km free maintenance are offered. Its minimum value should be around $500. Update: 2017 models are now out of stock. 2018 models listed below with their OTR prices. No. Registration is not included in the price.